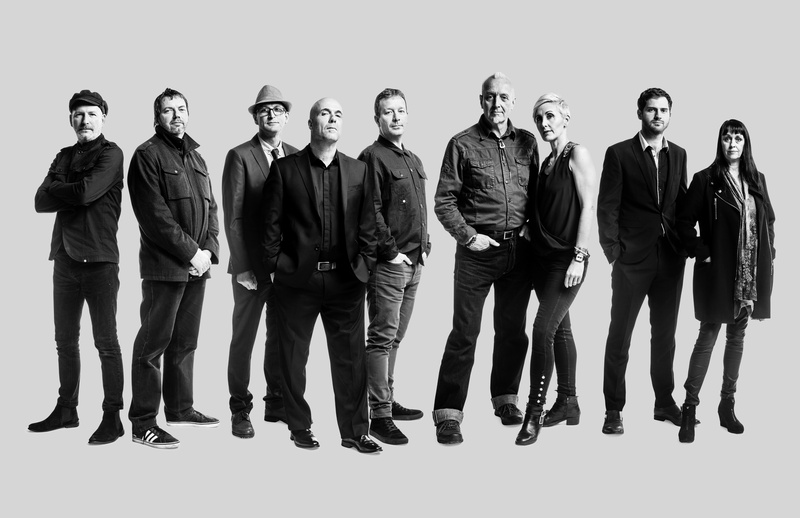 When founder member Dave Hemingway and long-serving keyboard player Damon Butcher called time late last year on live involvement with The South – the band that rose from the ashes of The Beautiful South – discussions followed about what to do next. But it was soon – rather aptly – agreed that the outfit would ‘carry on regardless’. It’s a contentious issue. Like Trigger’s broom in Only Fools and Horses, when does something that’s more or less had all its parts replaced cease to become what it was initially? 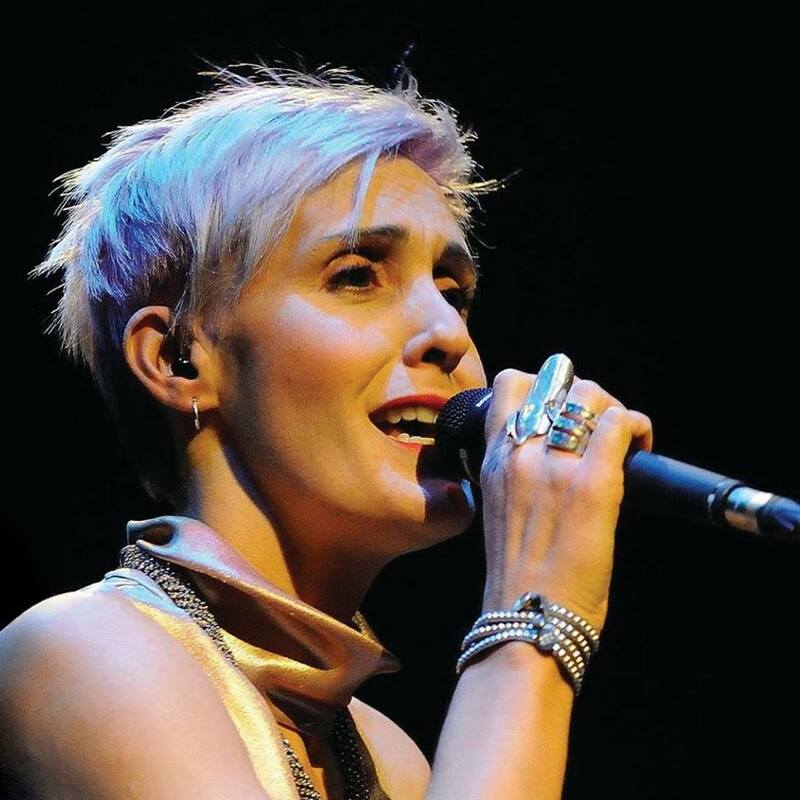 Yet Alison Wheeler (as featured on these pages in October 2016, with a link here) has been on board since 2003, and her co-vocalist Gary Birtles – best known as Gaz – started touring with the band in 1989. When I saw The Beautiful South touring on the back of debut single Song For Whoever at Aldershot Buzz Club in June ‘89 (as recalled in my interview with Dave Hemingway in April 2014, with a link here), they were a five-piece (with not even Briana Corrigan involved, if memory serves me right). 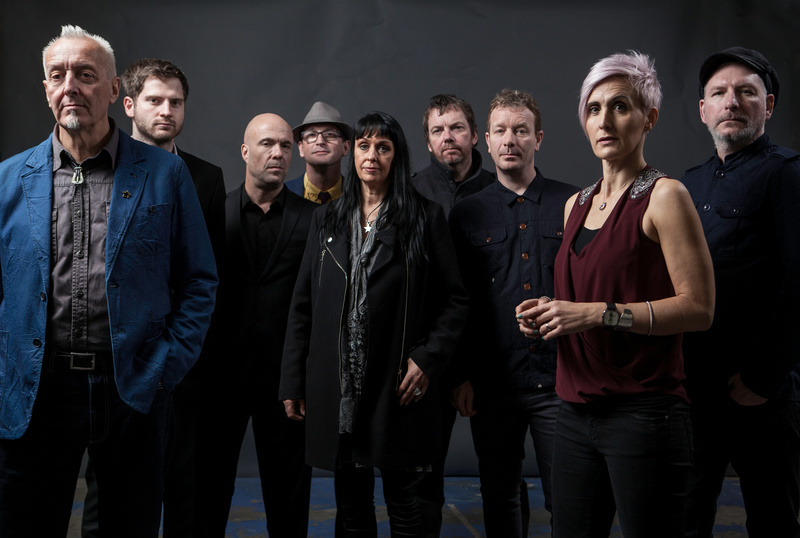 By all accounts though, it was the overall reception and sound on that eight-date mini-tour inspired band-leader Paul Heaton to change things around, recruiting five extra members, among them the afore-mentioned Damon and a three-man brass section that included trumpet player Tony Robinson, another co-founder of The South, but also a reecent departure, and sax player Gaz. For me, the gear-trashing did them no favours. The Who had already done that, and The Damned just about got it away with it on The Old Grey Whistle Test. But … yawn … that time around it just came over as ostentatious. Gaz was back at home in Leicester when I called, after a Sunday show in King’s Lynn, gearing up to play Burnley Mechanics this Saturday (March 17th). “I’m just glad to be back out there again. And after Burnley it’s three or four shows a weekend. I’d be out every week, given a choice. Sometimes it’s better to give it the full three or four weeks, get into the swing of it. But the reality is that promoters prefer you play weekends, and we’ve all got other things going on. One of Gaz’s other roles involves Leicester venue The Donkey, booking bands and taking on sound duties, something he also loves. But he also notes a ‘general lack of enthusiasm for original bands,’ in recent years, adding, ‘It seems to be about tribute and cover bands at most venues’. 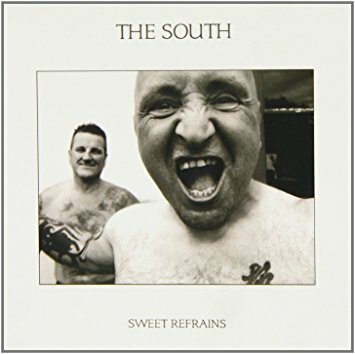 Playing devil’s advocate, I ask what right his band – with just two survivors from The Beautiful South – have to be out there playing hits mainly penned by Paul Heaton and David Rotheray. “There is a genuine feeling that people don’t know what we are. I can understand some opinions that we might be a tribute band. We’re almost a tribute band to ourselves now. What we were to The Beautiful South is always like an off-shoot, not an extension. But mainly it’s about Beautiful South songs. “I’ve been there since day one, pretty much, and think that lends authenticity. The reality is that people we meet after shows tell us how much they’ve enjoyed it. A lot haven’t seen The South or The Beautiful South before. We provide a night’s entertainment of great songs. And those who saw The Beautiful South come back and still love it. The fact that you’re going out as a nine-piece suggests your belief. It can’t just be about making money if you end up having to split it nine times every night. 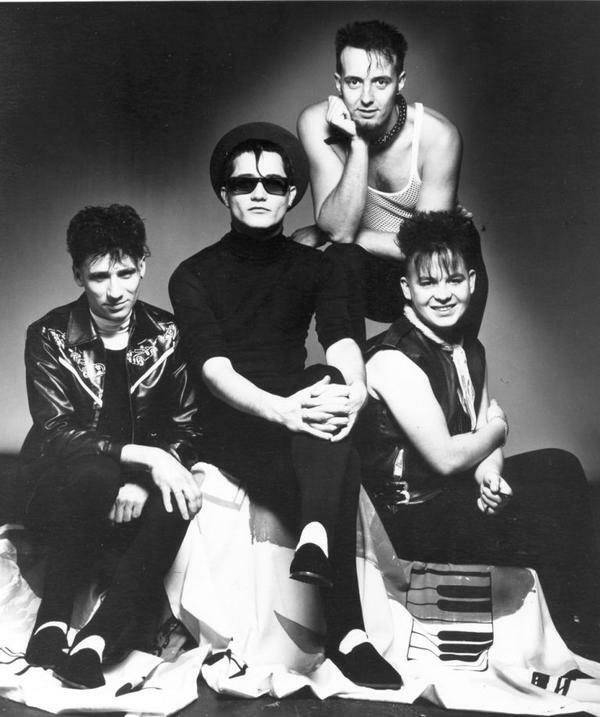 Gaz’s link with The Beautiful South indirectly came through his spell – having been on the dole at that point – guesting as part of a brass section with Leicester band Crazyhead, who he described as ‘a Grebo sort of band’, including a European tour supporting Iggy Pop. His involvement in bands goes back to the punk era though. “That’s how I started really. If it wasn’t for punk rock, I definitely wouldn’t be here. I was working in a warehouse when a couple of mates started a band, asking me to sing, having heard me sing at work. That was Wendy Tunes, one of the first bands of that ilk in Leicester to get signed. That was The Swinging Laurels, who recorded a 1982 BBC Radio 1 session for DJ John Peel and enjoyed some pop-star moments of their own. You can find a few of the recordings they made on Gaz’s Bandcamp page. And how does it stand up now? There was also a link to the Fun Boy Three, formed by ex-Specials trio Terry Hall, Neville Staple and Lynval Golding. “We had a Tuesday residency in midwinter at the Hope and Anchor, North London, with the NME coming down to the first one and giving us a great review. The venue was getting busier every week. At the last one you couldn’t walk in the place for all the A&R men. We got signed that night to Warner Bros. It turns out though that Gaz – whose two sons have followed him into the music industry, his youngest having recently signed to Island Records with a band called Easy Life – initially got involved in music long before his punk days. In recent years Gaz finally had a chance to meet his initial sax inspiration, while guesting for Fun Lovin’ Criminals – having featured on their 2005 album, Livin’ for the City – in Bonn, Germany while they were supporting his old heroes. “A mate from Leicester was playing drums for them. He was a massive Fun Lovin’ Criminals fan and used to hang around the stage door, ending up joining them and later recommending me. Just in case you think Leicester’s all about Kasabian, Engelbert Humperdinck, Family and Showaddywaddy, Gaz told me about the city’s link with Laurel Aitken too, the Jamaican ska pioneer settling there in 1970 with his wife after a spell in London, working as an entertainer in nightclubs and restaurants under his real name, Lorenzo, before a later resurgence on the back of the 2 Tone explosion, including a minor UK hit in 1980 with Rudi Got Married. 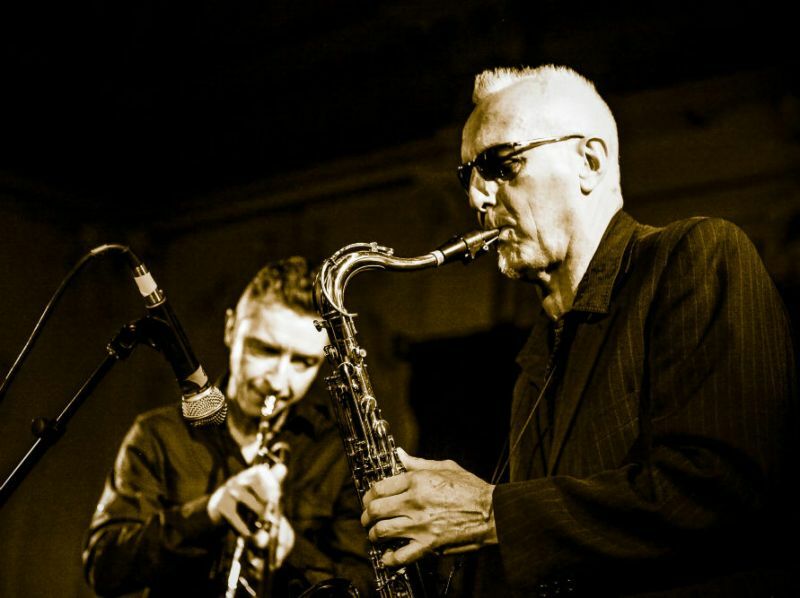 Laurel died in his late 70s in 2005, but got to play with several leading lights in the city’s music scene, not least keyboard player Andy Price, Damon Butcher’s replacement in The South, who’s also played alongside blues guitar maestro, Ainsley Lister, Happy Mondays’ Bez, and The Drifters. And now Gaz has taken on co-vocal duties, sax is being provided by Su Robinson, who previously featured with fellow ska legend Prince Buster, and former Specials bass player Horace Panter’s band the Uptown Ska Collective, while Tony Robinson’s role has been taken on by trumpet player Gareth John, who’s played alongside members of the Happy Mondays, Fun Lovin’ Criminals and The Specials. Gaz, Alison, and the new trio are augmented on stage by Phil Barton (guitar, and who had a hand in writing seven of the songs on the last LP), Steve Nutter (bass), Dave Anderson (drums), and Karl Brown (percussion). So what, I asked, made Dave Hemingway quit? “He’d been saying for a couple of years he was physically tired of doing it, and was always a reluctant pop star. He was never at ease, which is stupid really, because he was so brilliant. On a good day he was far better than Paul in lots of respects, very witty on stage, with a voice like an angel, and a lovely bloke, but he was just getting so tired of it. Which one’s Mr T then? As well as his off-road work at The Donkey, Gaz also helps out at the De Montford Hall and two other Leicester venues, including involvement with the two-day Simon Says music festival. And then there are his other band duties, helping out on the driving front, not least because he classes himself ‘a rubbish passenger,’ co-managing the band, and even designing the last album. So did he ever sing with the old band? Are you just a touring band now, or is there a new LP to follow 2012’s well-received Sweet Refrains? Carry On: The South, with a new line-up for Spring 2018, heading your way. The South’s Spring UK tour started in Yeovil, Milton Keynes and Kings Lynn, and is now heading towards Burnley Mechanics (Sat, March 17, 01282 664400), Fleet The Harlington (Fri March 23, 01252 811009), Porthcawl Grand Theatre (Sat March 24, 01656 815995), Workington Carnegie Theatre (Thu March 29, 01900 602122), Glasgow 02 ABC 2 (Fri March 30, 0141 332 2232), Inverness Ironworks (Sat March 31, 0871 789 4173), Aberdeen His Majesty’s Theatre (Lemon Tree) (Sun April 1, 01224 641122), Manchester Club Academy (Fri April 6, 0161 832 1111), Wrexham William Aston Hall (Sat April 7, 0844 888 9991), Preston Charter Theatre (Sun April 8, 01772 804444), Buxton Opera House (Thu April 12, 01298 72190), Pocklington Arts Centre (Fri April 13, 01759 301547), Norwich Waterfront (Sat April 14, 01603 508050), Wakefield Warehouse 23 (Sun April 15, 01924 200162), Cardiff The Globe (Wed April 18, 0871 220 0260), Barnstaple Queen’s Theatre (Thu April 19, 01271 316063), and Weston-Super-Mare Playhouse (Fri April 20, 01934 645544). For more information on The South, head to the band’s official website and keep in touch via Facebook and Twitter. This entry was posted in Books Films, TV & Radio, Music and tagged Alison Wheeler, Andy Mackay, Crazyhead, Damon Butcher, Dave Hemingway, David Rotheray, Fun Boy Three, Gaz Birtles, Laurel Aitken, Leicester, Paul Heaton, Roxy Music, Su Robinson, The Beautiful South, The Housemartins, The South, The Specials, The Swinging Laurels. Bookmark the permalink.